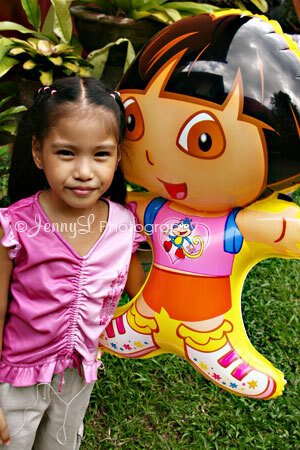 Reign with Dora balloon. She saw this after we heard mass last Sunday. Her mom and I don't want her to buy this bec. it's a bit expensive for a balloon but of course she insisted to buy one. I was actually pulling her hand not to buy and told her that we'll buy her food instead. Of course she doesn't like it. Now this balloon is just in their house idle. Kids just love to buy lots of toys and in the end they will just leave it in the corner.